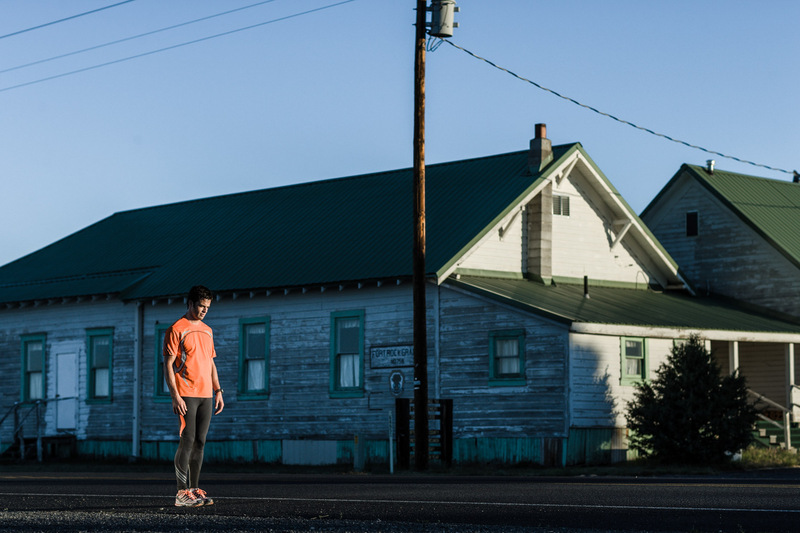 A sunrise stretch before marathon training running in the desert in Eastern Oregon for adidas. Authentic sport fitness photographer Andy Batt was hired to capture this scene. The adidas photographer captured this crisp moment with a combination of natural light and strobe lighting.